TME's offer has been enriched by SCHURTER IP67 and IP69K AC power connectors in form of male panel-mounted sockets and female wire plugs. 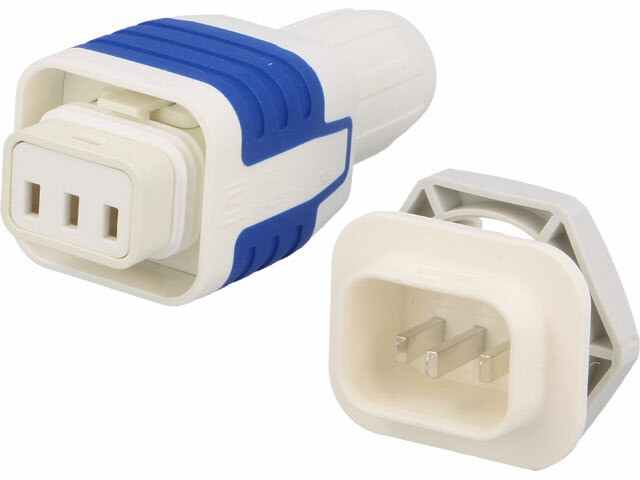 These items can be bought both individually, and in form of ready-made socket-plug sets. They are available in two colours: white and black. Check out the waterproof IP67/69K connectors from SCHURTER in TME's offer.